One of the perks of writing a beauty blog is that brands get in touch to let us know about their latest releases and offer samples. I would say that I refuse as many, if not more, samples than I accept because I only like to feature products that I would spend my own money on to keep the authenticity of my blog and I always make sure to take the time to read through the information thoroughly before accepting a product. Sometimes the press releases are exciting, sometimes there is nothing new or innovative about the product but every so often, a product will come along that grabs my attention and this is one of those products and the brand story is one that I think all of you will love. Let me introduce you to Daughter of the Soil. 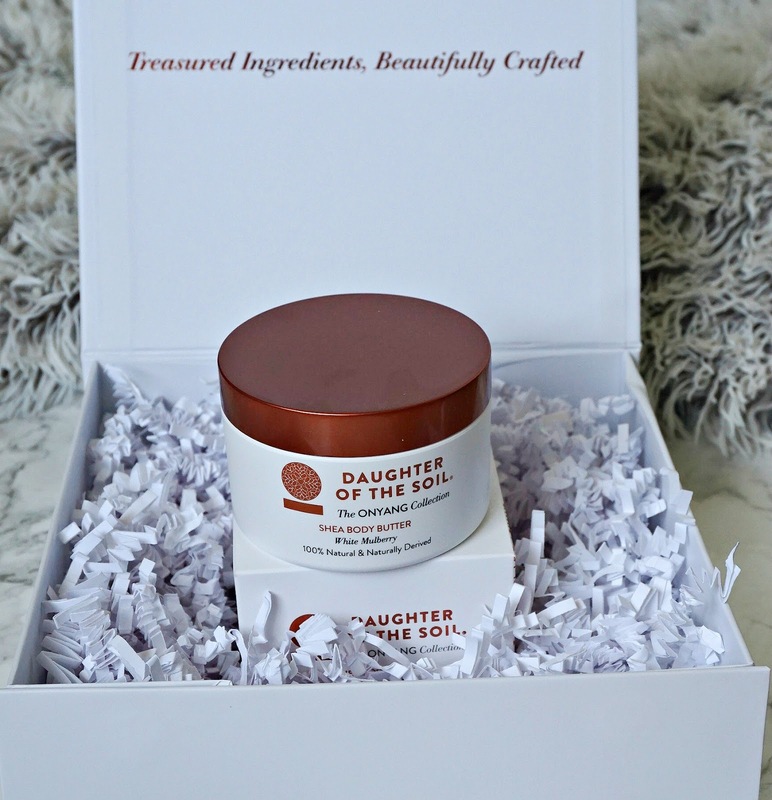 Daughter of the Soil is a new brand (only 4 months old) and there are only hand and body products available at this stage. All products contain African botanical oils that the great-grandmother (Onyang) of one of the founders Maria Magembe, used in the 1950s to create beauty products to share with the women around her. Her legacy continues today in the form of Daugher of the Soil. That alone was enough to grab my attention but even more exciting is the fact that the company supports and empowers women by providing them with the means of earning a sustainable and protected income. They have a training program for women in agriculture and the program is run by women for women and each trainee farmer is tasked with mentoring 15 students from the tier below. They hope to have 10 million DOTS Certified women farmers in Africa by 2025 - how incredible is that? We have the opportunity to support these women by buying some Daughter of the Soil products. They very kindly sent me one of their body butters - the White Mulberry Shea Body Butter, but they also sell an unfragranced version. This body butter contains Sweet Almond Oil, Grapeseed Oil, Sunflower Seed Oil and Shea Butter among other ingredients. The packaging is very aesthetically pleasing being white with copper accents but it's what is inside that is more important and let me tell you - it doesn't disappoint. This luxurious body butter is extremely nourishing and moisturising but doesn't leave any film on the skin and doesn't feel greasy. I feel like my body as been crying out for this level of moisture after months of central heating and open fires! It is easily absorbed, which I love because sometimes I feel like I am getting a work out just from rubbing my body butter in! 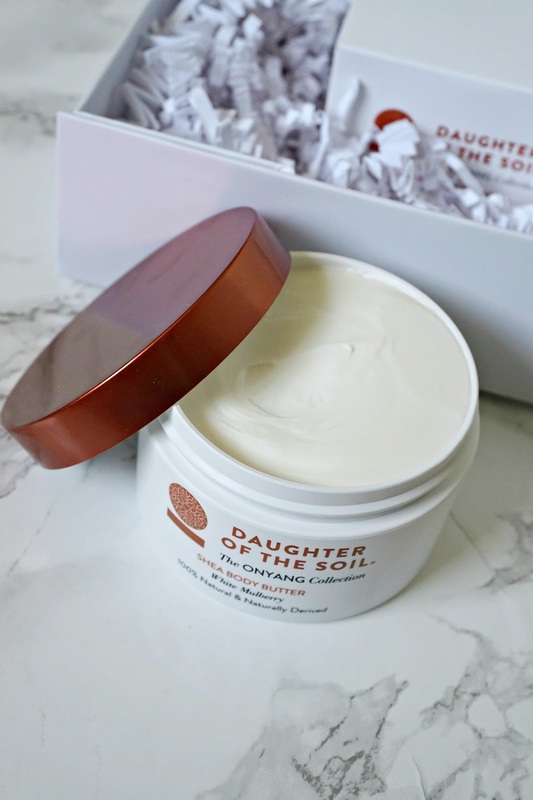 This body butter leaves my limbs smooth and feeling silky soft and a little goes a long way. At £39 for 200ml this is not the cheapest body butter but I think it would make a lovely gift and there is also the feel good factor of knowing that you are supporting and empowering otherwise marginalised women with your purchase. If you would like to buy this or any of the brand's products, you can order directly from their site or from Naturismo, Notonthehighstreet or MyBeautyMatches. They are also sold instore in John Bell and Croyden and Fenwick Brent Cross but will hopefully be in Planet Organic and House of Fraser soon. I would love to hear your thoughts on this product and the brand in the comments below! All products are bought by me, unless otherwise stated. This body butter was sent to me but this post is not sponsored - their story genuinely excites me. Opinion is always my own.